State Sen. Charles Schwertner said Sunday he would file legislation next year “designed to establish consistent and predictable statewide regulation of ridesharing services like Uber and Lyft." The debate over regulating companies like Uber and Lyft looks likely to move from the local to the state level in Texas, although how big a discussion it will be remains to be seen. “It has become increasingly clear that Texas’ ridesharing companies can no longer operate effectively through a patchwork of inconsistent and anti-competitive regulations,” said state Sen. Charles Schwertner of Georgetown, chairman of the Senate Committee on Health and Human Services, in a statement. Uber and Lyft have said they will cease operations in Austin on Monday following the failure of Proposition 1, a referendum that would’ve overturned rules the City Council approved last year that — in part — will require drivers to undergo fingerprint-based background checks by next February. 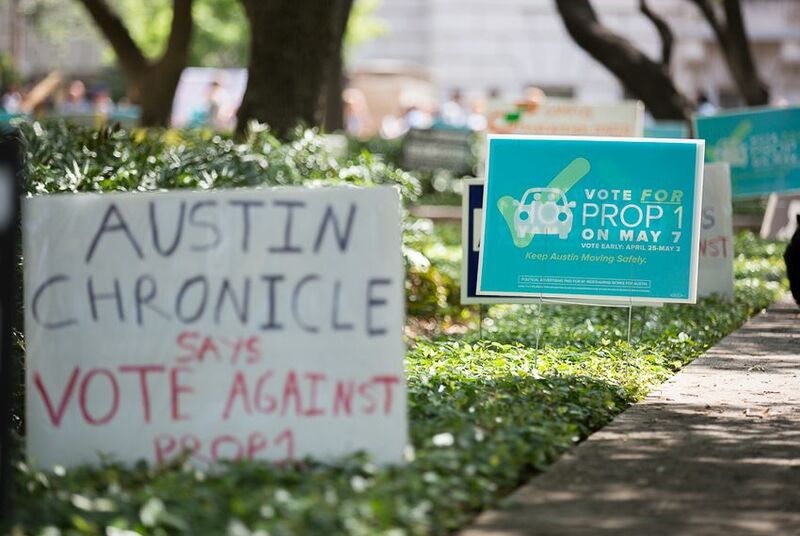 The companies, which have permanently or temporarily pulled out of other Texas cities that have passed similar regulations, spent $8.6 million on their Austin campaign, making it the most expensive in city history. Other state GOP officials expressed similar free market-based concerns on social media Sunday, indicating that Schwertner's measure may gain newfound traction in the Republican-dominated Legislature. Last year, legislation that would've blocked Texas cities from regulating ride-for-hire services stalled.